Former Florida quarterback Will Grier is transferring to West Virginia after getting suspended by the NCAA following a hot start to the 2015 season. Former Florida quarterback Will Grier, who is in the middle of serving a 12-month suspension from the NCAA, will be transferring to West Virginia. Grier took Florida's starting job last year ahead of the second game of the season and helped lead the Gators to a 6-0 record before failing a drug test for a banned substance. As a consequence, he was handed a rare year-long suspension by the NCAA, which was not immediately overturned on appeal. Grier threw for 1,204 yards, 10 touchdowns and 3 interceptions in 2015 before his suspension. Following the season, he decided to leave Florida and start fresh elsewhere. 1. His suspension could last until Oct. 2017. The one thing we aren't sure of with Grier is how the NCAA will handle his suspension considering he's transferring to another program. Grier will sit out a year as a transfer per NCAA rules, so the organization must decide whether his prior 12-month suspension can be served while he is not an active member of a program. It was expected that the NCAA will indeed enforce the remainder of his suspension after he sits out 2016; as such, Grier would not be eligible until Oct. 12, 2017, nearly halfway through the season. The West Virginia release notes that Grier will sit out 2016 and have two years of eligibility remaining. 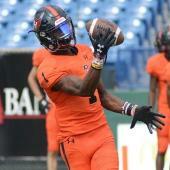 WVU told CBS Sports that it has yet to be determined when Grier will be eligible to play in 2017. It is expected that the Mountaineers will appeal or request a waiver in order to get Grier eligible immediately after his transfer season. 2. 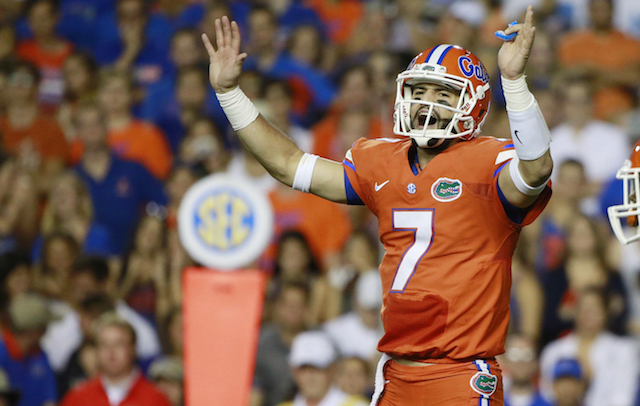 Grier may walk into a starting job at some point that season. The Mountaineers do need to add depth at quarterback for 2017. Skyler Howard is gone after 2016, and the next in line is William Crest, Jr. -- the current backup and a redshirt sophomore who was a three-star recruit from the 2014 class. Grier certainly seems like he'd be an upgrade for the Mountaineers at quarterback, but due to his suspension, they still might need someone to start the first five or six games of the 2017 season. That competition will likely come down to Crest and David Sills, a true sophomore who was a three-star signee from the Class of 2015. 3. Dana Holgorsen might not still be the coach that makes these QB decisions. There's been grumblings that Holgorsen might be on the way out sooner than later. (There were some that thought he'd look to take another job this past offseason.) The Mountaineers finished 2015 at 8-5, and the program has stalled out a bit, failing to win more than eight games since Holgorsen's first season in 2011, when WVU posted a 10-3 record. While there is the chatter about Holgorsen's future, this move may signal that he feels like he's going to remain at West Virginia beyond this year. Grier, who waited until nearly the end of spring practices to choose the perfect destination, must certainly think so. It'd be strange for a transfer quarterback to commit to a program without assurances from the coach that he plans to be there, though the administration could obviously make changes on its own.